Life is not all about art and gardening and books. 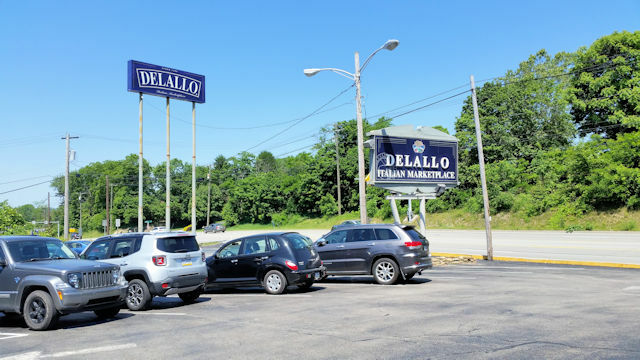 Last week we went back to Pennsylvania to visit relatives and I was fortunate enough to stop in DeLallo’s Italian Market in Jeannette, PA near New Stanton. Wow! The place is amazing. Best I’ve seen outside The Strip in downtown Pittsburgh. 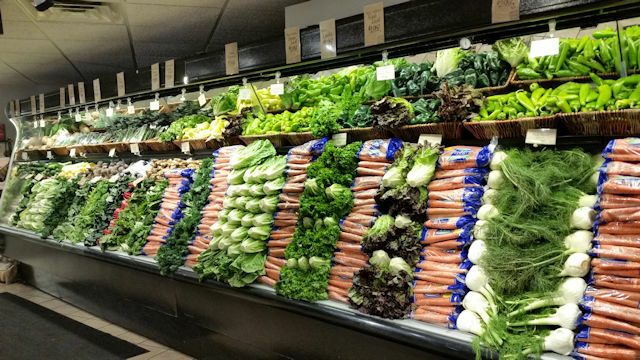 DeLallo’s vegetable display. They tear this down every night, edit it and create the display anew. The fruits and veggies are displayed so beautifully. We were told that the staff takes each display apart every night, tosses any less than fresh items, and restocks the display. And the olives! I love olives. 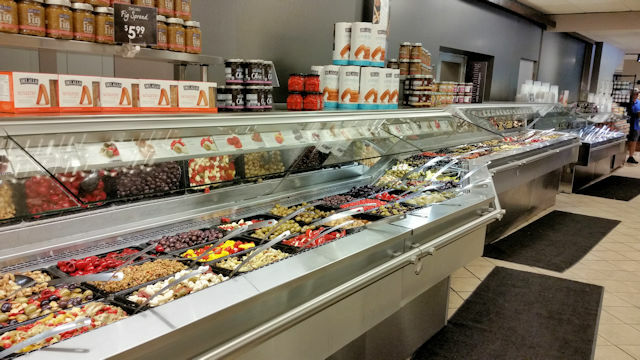 I’ve never seen any olive bar this long and well-stocked. Needless to say, I purchased enough to keep me happy for a long time. The cheese display was three times this large. 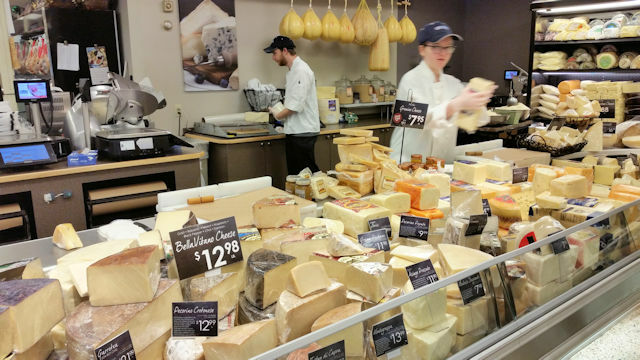 Then a quick stop by the extra large cheese display. Fresh or aged, they have everything you could imagine. 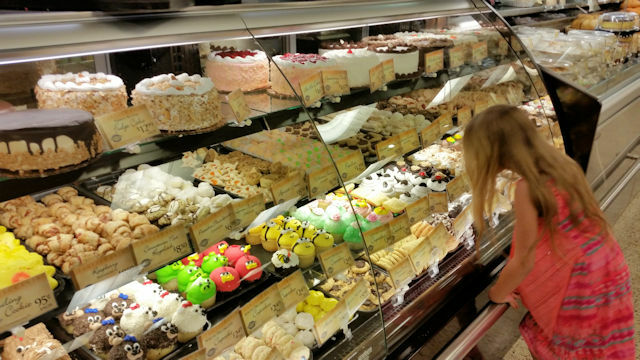 My granddaughter was fascinated with the colorful and glorious bakery display. 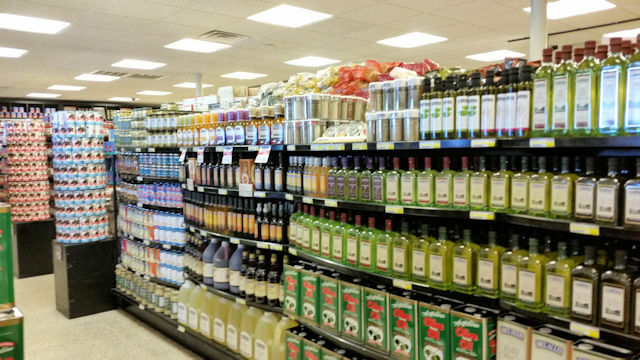 And who could decide on which olive oil to buy? We buy by the gallon. 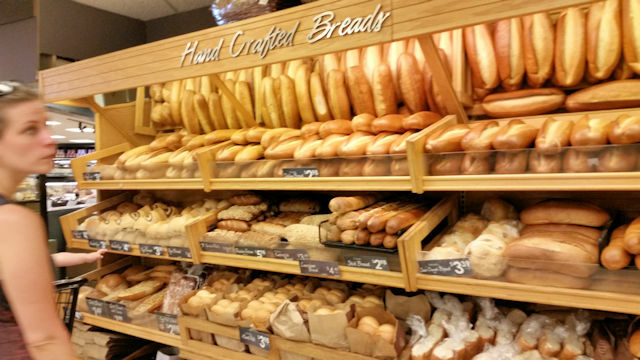 Finally, the bread display. The aroma carried throughout the store. So, imagine me on my patio, glass of wine, cheese and olives, and a good book in the sunshine. Ah, life is good. This entry was posted in Uncategorized and tagged country living, DeLallo, Italian market, travel. Bookmark the permalink.